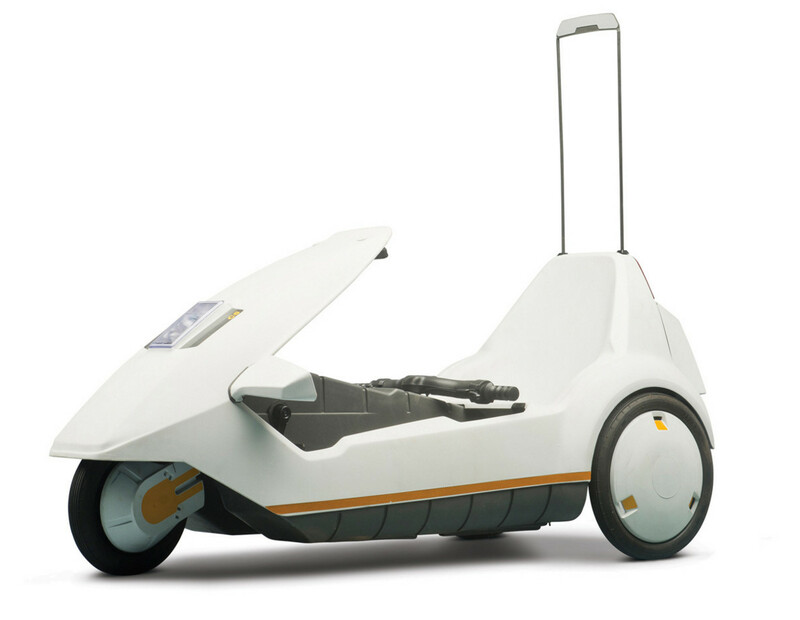 The Sinclair C5 is a small one-person battery electric vehicle, technically an “electrically assisted pedal cycle”. 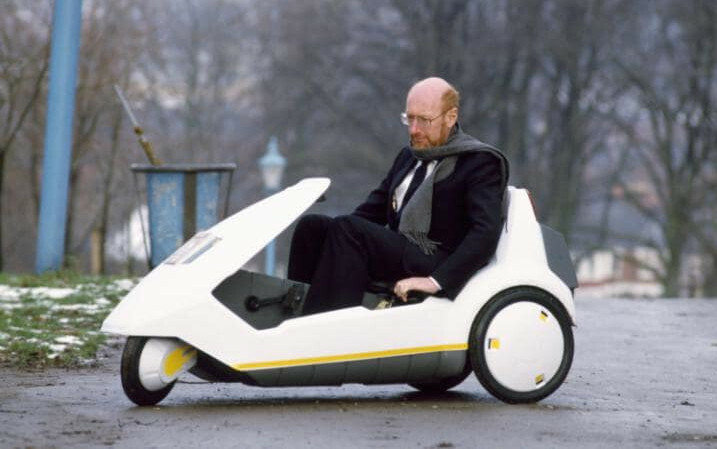 It was the culmination of Sir Clive Sinclair’s long-running interest in electric vehicles. 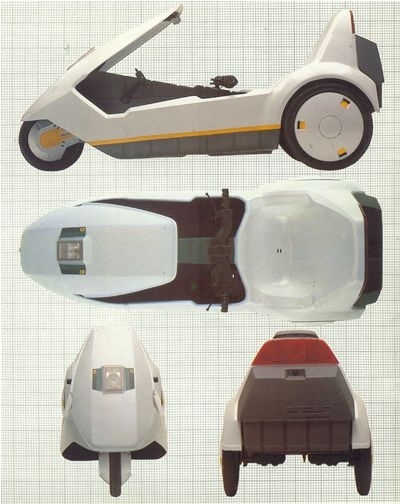 Although widely described as an “electric car”, Sinclair characterised it as a “vehicle, not a car”. Sinclair had become one of the UK’s best-known millionaires, and earned a knighthood, on the back of the highly successful Sinclair Research range of home computers in the early 1980s. He hoped to repeat his success in the electric vehicle market, which he saw as ripe for a new approach. The C5 emerged from an earlier project to produce a Renault Twizy-style electric car called the C1. 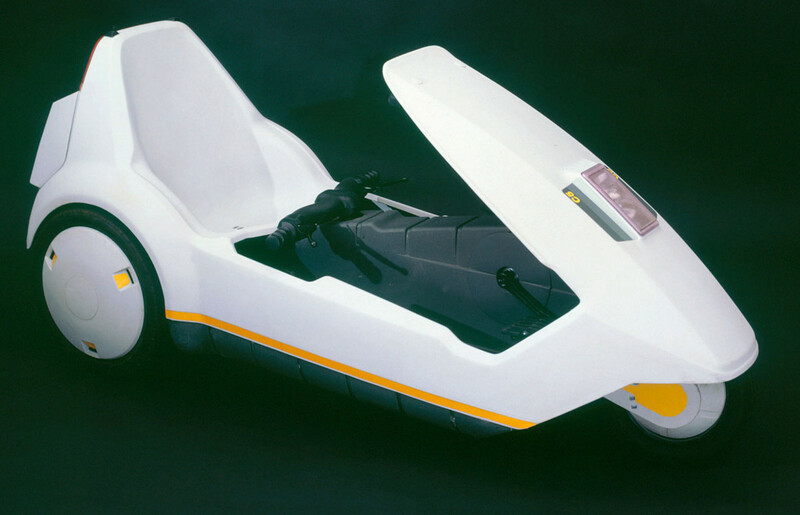 After a change in the law, prompted by lobbying from bicycle manufacturers, Sinclair developed the C5 as an electrically powered tricycle with a polypropylene body and a chassis designed by Lotus Cars. It was intended to be the first in a series of increasingly ambitious electric vehicles, but in the event the planned development of the followup C10 and C15 electric cars never got further than the drawing board. 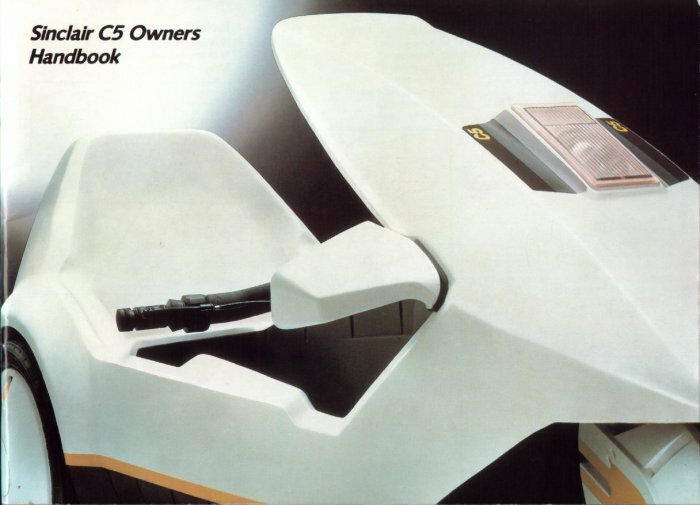 On 10 January 1985, the C5 was unveiled at a glitzy launch event but it received a less than enthusiastic reception from the British media. 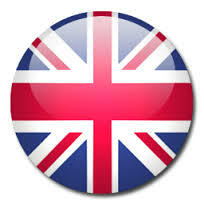 Its sales prospects were blighted by poor reviews and safety concerns expressed by consumer and motoring organisations. 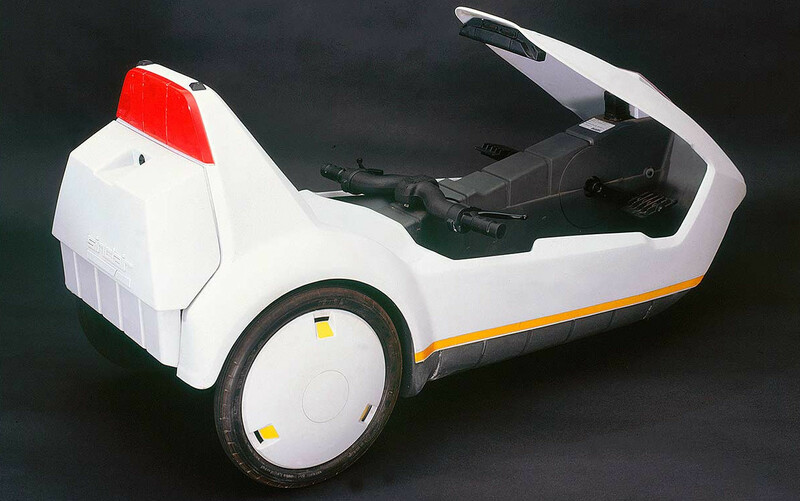 The vehicle’s limitations – a short range, a maximum speed of only 15 miles per hour (24 km/h), a battery that ran down quickly and a lack of weatherproofing – made it impractical for most people’s needs. It was marketed as an alternative to cars and bicycles, but ended up appealing to neither group of owners, and it was not available in shops until several months after its launch. Within three months of the launch, production had been slashed by 90%. Sales never picked up despite Sinclair’s optimistic forecasts and production ceased entirely by August 1985. Out of 14,000 C5s made, only 5,000 were sold before its manufacturer, Sinclair Vehicles, went into receivership. 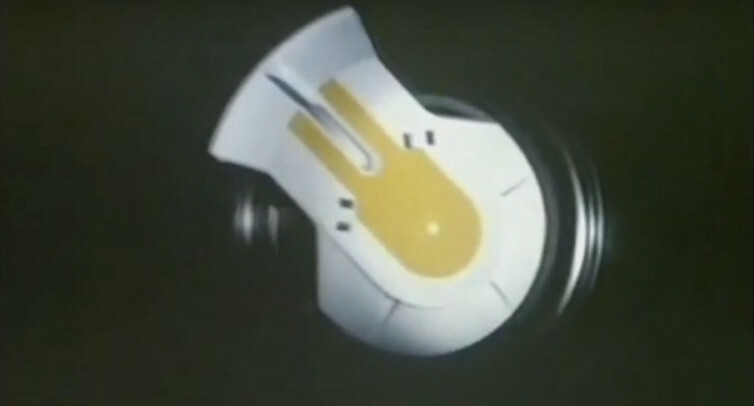 The C5 became known as “one of the great marketing bombs of postwar British industry” and a “notorious … example of failure”.Despite its commercial failure, the C5 went on to become a cult item for collectors. Thousands of unsold C5s were purchased by investors and sold for hugely inflated prices – as much as £5,000, compared to the original retail value of £399. Enthusiasts have established owners’ clubs and some have modified their vehicles substantially, adding monster wheels, jet engines, and high-powered electric motors to propel their C5s at speeds of up to 150 miles per hour (240 km/h). 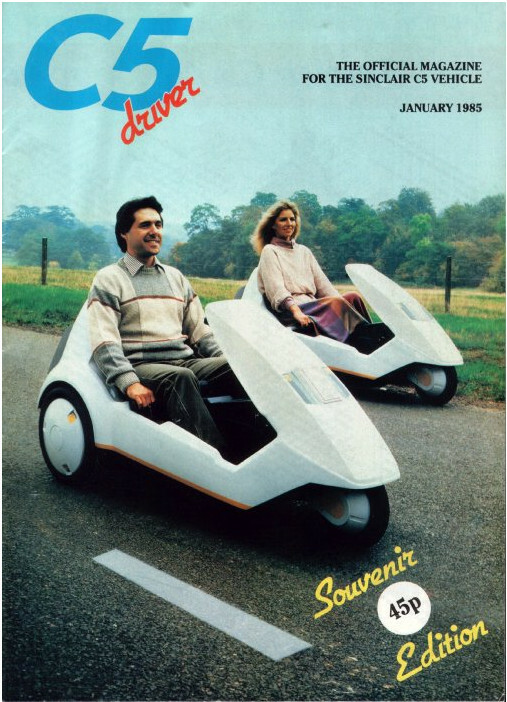 Sinclair C5 var et trehjulet, elektrisk moped, oppfunnet av Sir Clive Sinclair og lansert i Storbritannia den 10. januar 1985. 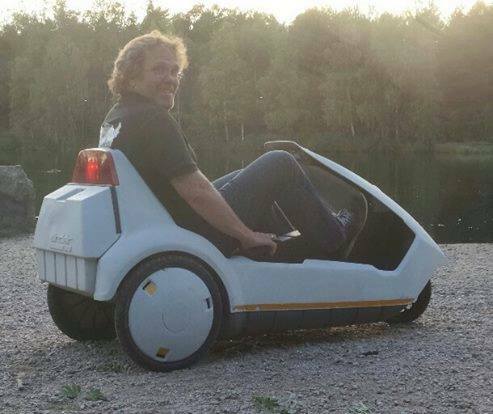 C5 kan drives fremover med pedaler eller ved hjelp av en innebygget, elektrisk motor. 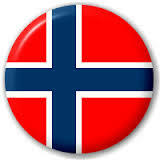 Den har en toppfart på 24 km/t, en hastighet som ble valgt fordi kjøretøyer som ikke gikk fortere kunne kjøres uten førerkort i Storbritannia. Til tross for at den var relativt billig å produsere og kjøpe (den kostet kun 399 britiske pund, omkring 5 000 norske kroner) ble C5 raskt gjort til latter, og ble en kommersiell fiasko med kun omkring 17 000 solgte eksemplarer. Sinclair hadde allerede som tenåring begynt å leke med tanken om et elektrisk kjøretøy, og dette var en idé han lekte med i de kommende tiår. Tidlig på 1970-tallet arbeidet Sinclairs selskap, Sinclair Radionics, med prosjektet, men fokuset skiftet over på kalkulatorer, og C5-prosjektet ble liggende brakk frem til slutten av 1970-tallet. Utviklingen startet igjen i 1979, og beveget seg stadig fremover, mens kjøretøyet ble dyrere og dyrere. I mars 1983 solgte Sinclair noen av aksjene sine i Sinclair Research, og skaffet 12 millioner britiske pund (omkring 150 millioner norske kroner) for å finansiere utviklingen av kjøretøyet. I mai samme år ble Sinclair Vehicles Ltd stiftet, og en utviklingsavtale ble inngått med Lotus, som skulle videreutvikle grunnkonseptet til et produksjonsklart kjøretøy. Samtidig ble det inngått en avtale med Hoover Ltd om produksjon, mens motorene ble produsert av Polymotor i Italia. Til tross for en stor reklamekampanje med den tidligere Formel 1-føreren Stirling Moss ble det raskt klart at C5 var lite praktisk i det britiske klimaet, og kunne være farlig i tett trafikk. Den 13. august 1985 ble produksjonen hos Hoover stoppet, mindre enn 17 000 eksemplarer var bygget. Sinclair Vehicles gikk konkurs den 12. oktober 1985.